Decision making is a multi-faceted and challenging, yet important task. A decision maker normally has to take into consideration a number of alternatives, which often conflict with one another, before reaching a good decision. 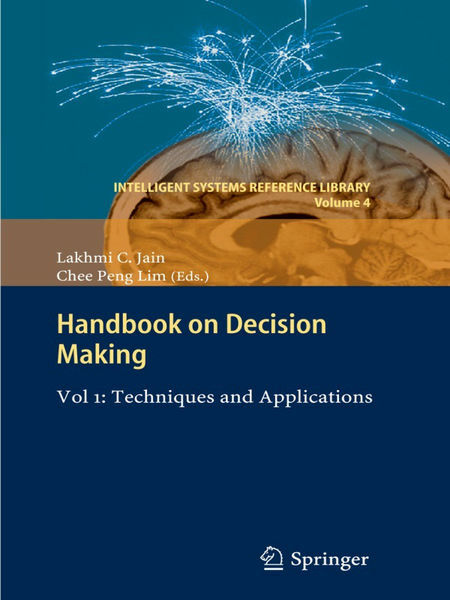 To cope with the challenges of decision making, decision support systems have been developed to provide assistance in human decision making processes. The key to decision support systems is to collect information/data, analyse the information/data collected, and subsequently make quality and informed decisions. In this aspect, intelligent reasoning and learning techniques have emerged as a powerful approach to solving real-world decision making problems. •	application of intelligent decision support systems to business, management, manufacturing, engineering, biomedicine, transportation and food industries.